maximize your business profit potential. We are highly experienced business analysts specialising in assessing the key operating aspects of small and medium businesses. We provide quality advice and create easy to understand business plans and strategies to improve the bottom line of your business. We are primarily focused on helping small and medium sized businesses around Australia. We know what it takes to improve the performance of your business, and will work with you to help you realise your business potential. Could your business be performing better? It doesn’t matter where you are, what size of business you have, or what industry you are in, there is always room to improve the bottom line. Regardless of the life stage of your business, it is never too late or too early to get a detailed business assessment. Small businesses evolve. A regular review of your organisational structure ensures you are set for optimal growth into the future. Look before you leap. It pays to get an independent assessment of a new or existing business before making any financial commitment. As your business advisor we look at your business and help you solve problems, improve strategic planning, and make more profit. Business Owners who engage the services of the Australian Business Clinic see a significant improvement in their confidence to make decisions, for better business planning. We can help you achieve your business goals. Why not arrange a meeting? Your first consultation is free of charge, and comes with absolutely no obligation. We have worked with over 200 small to medium size business owners around Australia, supporting them to make big changes, and small ones, increasing their profit margins, helping them gain a deeper knowledge of their own business, and create the business they first dreamed of…but better. The Australian Business Clinic is determined to help your small and medium business work as efficiently as possible. We want you to realise opportunities, solve issues – and get cost effective results. We become your sounding board. We aim to make your life easier, not harder! You’ll get practical advice that will make a difference to your business. The Australian Business Clinic team promise to keep it real and help you improve your business performance. You can expect real value for money and a tangible outcome. 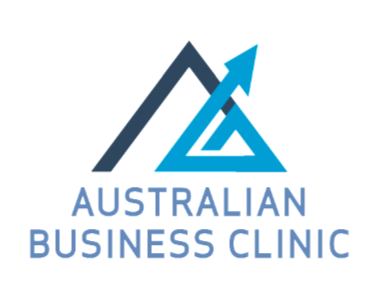 The Australian Business Clinic understands small business. The tried and true services we provide have come from decades of experience, and are based on sound business practice, not the latest trends. We can help you maximise profit. Our fees are realistic, very affordable, and of course, tax deductible. For a free initial consultation with our Australia wide Business Service – and see how friendly and helpful we are – contact Garry and Lynton today!